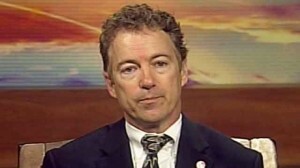 I used to be high on Rand Paul but now it’s time to just put him aside and not waste time with him. He’s gone overboard pandering to various groups and his latest call to demilitarize police shows a serious lack of understanding of what a police force actually is and the job they have to do. The outrage in Ferguson is understandable–though there is never an excuse for rioting or looting. There is a legitimate role for the police to keep the peace, but there should be a difference between a police response and a military response. There is a big difference between a police force and a military force. Both have very different jobs that are not interchangeable just because they may use similar equipment. Just because the NYPD have uses M-16s does not make them the 101st Airborne.